The Tsunami Bay Slide is our newest and tallest waterslide. 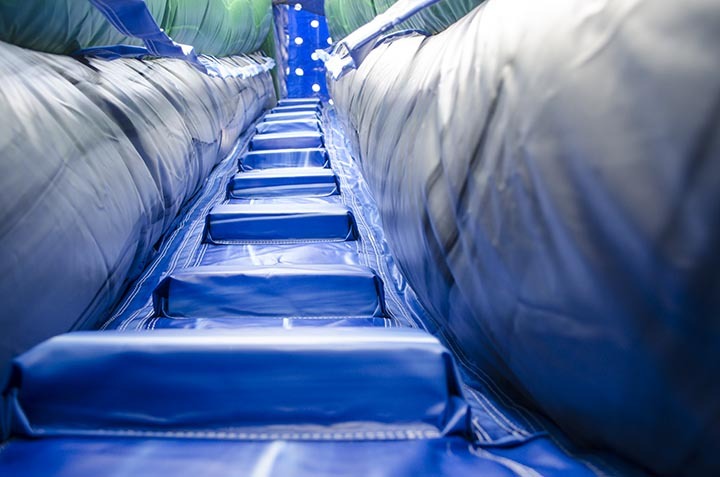 Extra wide single lane slide is perfect for 2 or 3 to slide down at a time. 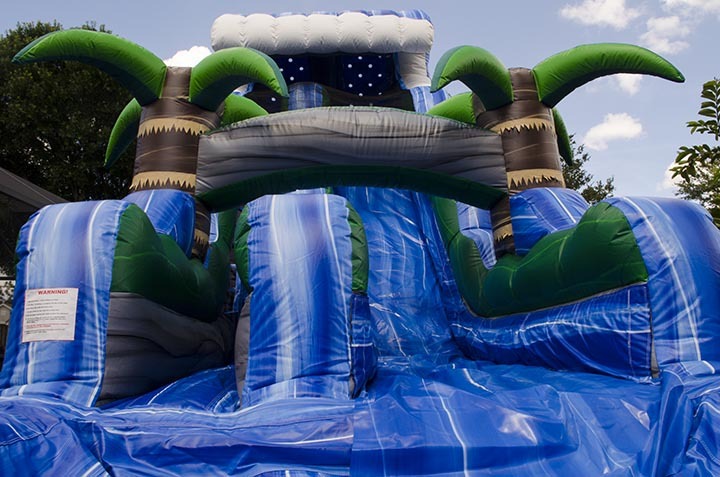 Front load design and side handles allows for quick circuit. 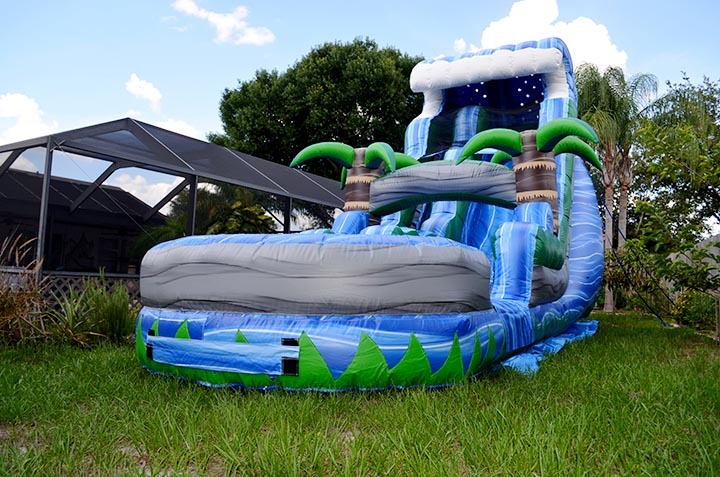 inflatable pool prevents ground contact if water is shallow. 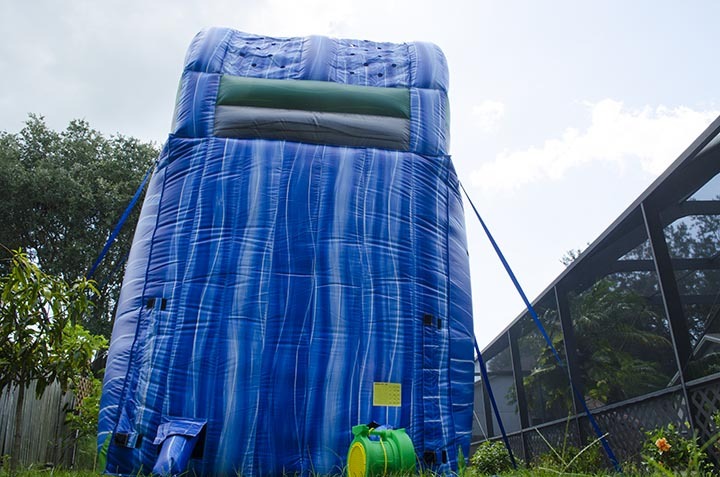 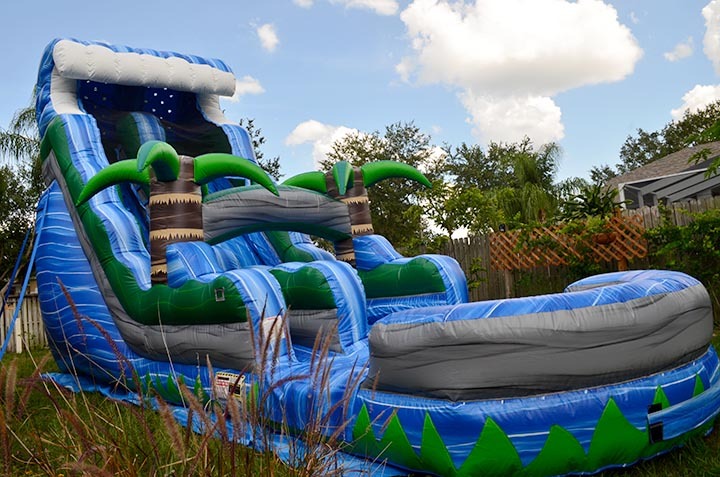 Make your Summer Barbeque or backyard event memorable with this enormous slide. 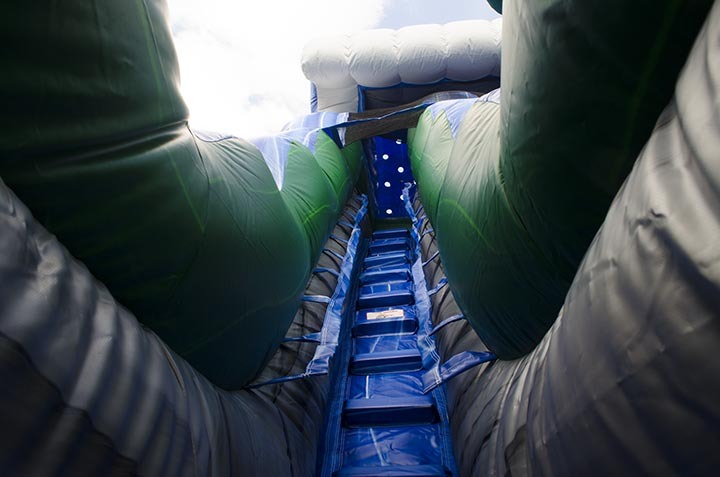 4ft wide entry path to set up area and hose is required.